Following last year’s thrilling introduction to Qatar, in which more than 5,000 fun-loving residents took excitement to a new high, The Color Run™, the original 5-kilometer color powder race, will return on Saturday, January 9 2016. The January installment will build on the huge success of 2015 and the Happiest 5k on the Planet will enliven and energize the Qatari capital once again with its mixture of color, fun and music. 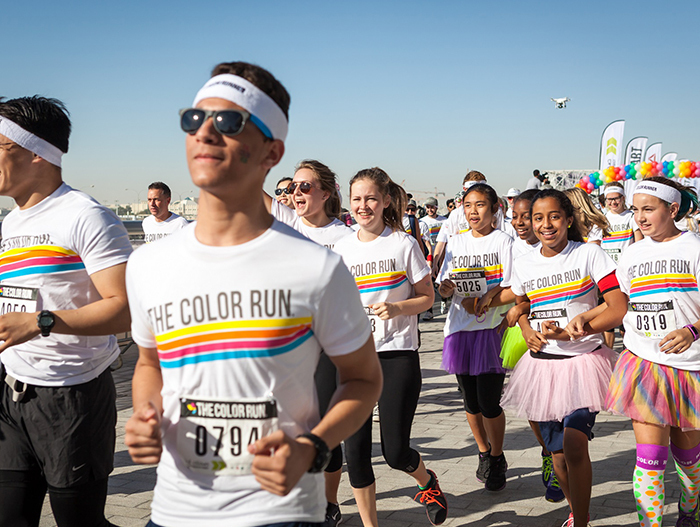 Doha residents of all ages, communities and physical abilities are sure to enjoy the brightest The Color Run yet, and will receive a newly designed t-shirt, headband and other exciting Color Run merchandise. The event is once again being backed by WCMC-Q, whose health campaign Sahtak Awalan: Your Health First, will present The Color Run at Qatar National Convention Center (QNCC). Sahtak Awalan aims to educate people about health issues and encourage them to make positive and healthy life choices. The Color Run™ offers local residents an inspiring, engaging and exciting way to meet those positive goals. 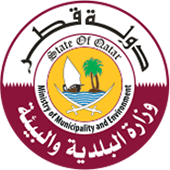 Commenting on the return of The Color Run, Nesreen Al-Rifai, chief communications officer for WCMC-Q, said: “The Color Run 2015 set a new benchmark for community participation in Qatar with thousands of people of every level of age and ability coming together from all backgrounds for the Happiest 5k on the Planet. The atmosphere of celebration and healthy living is very much in line with the objectives of the Sahtak Awalan: Your Health First campaign and we are delighted to be bringing The Color Run™ back to Doha on the 9th January 2016. The Color Run is a five-kilometer, un-timed fun run where participants – or ‘Color Runners’ – can run, jog, walk, or even push their children in strollers around the course under a shower of colored powder. Color Runners this year will be joined by the loveable unicorn mascot Runicorn, who will lead participants as they make their way around the course. In Doha the course will once again wind its way around the outside of the capital’s iconic QNCC, livening up the area with huge clouds of vibrant color as it goes. The fun continues at the finish line with a gigantic Finish Festival designed to create happiness and lasting memories thanks to unforgettable color throws and music. The Color RunTM is open to all of Doha’s residents regardless of age and ability, and offers participants a unique way to stay healthy while having a blast. Previous Doha Color Runners enjoyed the electric atmosphere of the Happiest 5k on the Planet and have since waited eagerly for its return. In keeping with the event’s community focus, $1 from every entry at The Color Run will be donated to Educate A Child (EAC). Launched in November 2012, EAC is a global program of Education Above All Foundation (EAA) that aims to significantly reduce the number of children worldwide who are denied their right to quality primary education. Through EAC supported projects, today more than 40 projects in 38 countries, EAA has put commitments in place that have brought quality education to more than six million out of school children.